Hey, it's a philosophy blog. I can't just write a post about dog food--I have to call this "philosophy of dog food." If you want to get a laugh out of people, just say "vegan dog food." Most people think it's really funny. Is it funny? I'm not sure. In any event, the Humane Society is starting to sell a plant-based dog food. It's natural, organic, and made out of vegetables. Well, but it's not natural for the dogs! Probably not, but plant-based dog food spares the cattle (etc) who would otherwise be eaten. Presumably the Humane Society thinks that's a good thing. In fact, their dog food isn't quite vegan--the vitamins in it are animal-based. A lot fewer animals were harmed in the making of the product, but not none. They must have reasoned that dogs need their vitamins, and consumers need reasonably priced dog food. So, they struck a compromise. 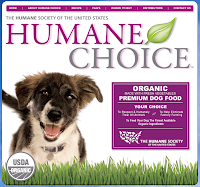 (A) Humane Choice is bad, because bad for dogs. In taste tests, surely dogs (being carnivores and all) do prefer meat-based food. Should that extra pleasure be taken away from them? Should their preferences, their autonomy, their natural tendencies, all be violated? (B) Humane Choice is bad, because bad for cows, chicken. fish, etc. Of course, a lot fewer had to be killed to make this brand, so that's progress. But it could have been none. If you're going to stop dogs from eating animals, you should go all the way. (C) Humane Choice is good enough. Life is all about compromises. The Humane Society has found the perfect compromise between what's best for dogs, what's best for cows (chickens, fish, etc. ), and what's best for people. (D) Don't be ridiculous. There's no such thing as the philosophy of dog food. I haven't decided. The poll (LEFT) will be up for a week. E) Maybe we shouldn't have dogs as pets. But I think I would vote C. I'm not sure A is really a cogent argument since most people force their dogs to do all sorts of things they don't want to, from dressing them up in little costumes, to not attacking the neighbors. A. If dogs are carnivores, then they should eat meat. Hopefully meat that does not come from factory farms and if that meat is more expensive, then maybe people will think twice before taking dogs as pets. Now, from my experience, dogs don't need a kilo of beef at each meal. I once lived with some friends, who having little money, served their dog a soup made from bones, bought at very low cost from a butcher shop, and leftover potatoes, rice, even stale bread. That dog thrived. I believe dogs are classified as omnivores, whereas cats are carnivores. I'm still somewhat undecided about my vote; however, if this is truly an issue of animal rights for HSUS, shouldn't dogs have a choice? As long as the majority of humans are eating meat, I personally -- even as a vegetarian -- would not feel comfortable imposing my food choices/philosophy on a dog. I'd have to give the dog a choice. Melissa, Truth be told, I started thinking about this because you said something similar on another thread. I got to thinking about whether animal choices and preferences ought to be respected. Hmm.... (still thinking). I'm curious what the poll will reveal. This will be interesting! I too am curious to see what the poll will reveal. According to Wikipedia, some sources describe dogs as omnivores and others describe them as carnivores. My Jack Russell pup is a wild creature in need of serious nourishment. In addition to the carefully chosen kibbled food that contains no meal or by-products or other fake stuff, last night he had shish kebab without the kebab. Night before, pork roast without the roast part. Bits of free range chicken at the bottom of the stock pot lasted a whole week. I'll ask him if he would prefer his morning's dry stuff for dinner also. He might ask if it isn't enough that humans want to fight mother nature; can't animals do the animal thing? Be assured I think mother/father/whoever Nature is a weird mixed-up unethical maker of the system. But what are you going to do? Fake it? Pretend we're not part of it? rtk--Yes, maybe that's the long and short of it. Should manage dogs' lives as if they were entirely part of our world, or let them retain some wildness? "Can't animals do the animal thing?" Good question!